Home Tags Posts tagged with "rebel groups"
Syrian rebels in the city of Aleppo have banned croissants as symbols of “colonial” oppression. Syria is a former French colony, so some there apparently associate this culinary symbol of Frenchness with France and with imperialism more generally. 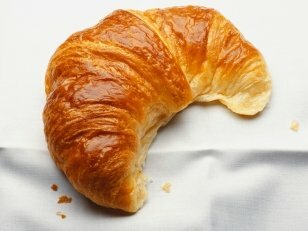 A fatwa against croissants might seem ridiculous, particularly in a time and place where bread shortages can be common. But there’s a serious side to the edict. Rebel-held regions of Aleppo are increasingly dominated by extremist elements, further marginalizing more moderate rebel groups and putting some Syrians at the groups’ mercy. In some areas, hardline Islamist groups have moved off the battlefield and begun setting up administrative councils and other governing and charitable bodies. Two groups in particular – Jabhat al-Nusra and the Islamic State of Iraq and the Levant, both affiliated with al-Qaeda – have begun to dominate rebel-held areas of the city, bringing with them a strict interpretation of sharia law. The ISIL, an affiliated group, claimed respnsibility for breaking hundreds of insurgents, including several senior al-Qaeda detainees, out of prison in Iraq. The extremist element in previously moderate Aleppo threatens to further divide Syria’s rebel factions, which are fractious enough already. And the West is unlikely to send much-needed aid to rebels who mix with al-Qaeda – particularly when those al-Qaeda-affiliated groups are condemning even the most tangentially Western things. In recent weeks, sharia committees in the area have also banned make-up and tight clothes for women and threatened a year in jail for anyone who fails to fast during Ramadan. The much-repeated legend that seems to be behind the anti-croissant fatwa – that a baker in Budapest invented the treat after the city repelled an Ottoman invasion – has been debunked by food historians several times over. Most agree the bread migrated to France by way of Austria in the early 1800s. And while France did rule Syria for a period before World War II, Austria obviously never did. Then again, Syrian extremists aren’t exactly known for their nuance. Australian Warren Rodwell, who was kidnapped 15 months ago by al-Qaeda-linked group Abu Sayyaf in the Philippines, has been released. 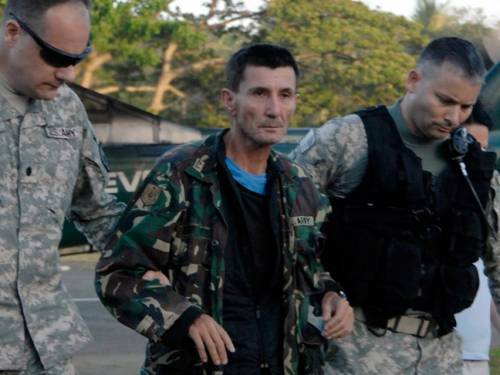 Warren Rodwell was freed on Saturday near Pagadian city in the southern Philippines, police said. He was kidnapped by Abu Sayyaf militants in 2011, and had last been shown alive in a video posted on social media websites in December. Abu Sayyaf is considered the smallest and most radical of the extremist movements in the southern Philippines. Australian Foreign Minister Bob Carr welcomed the news, saying the release had been the result of a joint effort by authorities in both countries. “The Philippines government had the lead role in this case and deserve congratulations for their tireless efforts on Mr. Rodwell’s behalf,” said Bob Carr. Bob Carr added that Warren Rodwell was being moved to a safe location and that the focus now was on his recovery. Warren Rodwell – who runs a shop with his wife in the Philippines’ seaside town of Ipil, close to Zamboanga in south-western Mindanao – was abducted in December 2011. A number of foreigners have been kidnapped for ransom in the southern Philippines. The Australian government has a longstanding policy of refusing to pay ransom for its citizens. Areas within the region are used as bases by Islamist militants and rebel groups. Abu Sayyaf militants remain a security threat in the impoverished region, where minority Muslims have been fighting for self-rule for decades. The main Muslim separatist group, the Moro Islamic Liberation Front, last year signed a peace accord with the government in exchange for broad autonomy. But Abu Sayyaf were among the rebel groups who refused to sign up to the peace deal. The rebel Free Syrian Army (FSA) has announced that it has moved its command centre from Turkey to “liberated areas” inside Syria. General Riad al-Asaad does not say in the video when the move took place, or where in Syria the FSA’s new headquarters are. 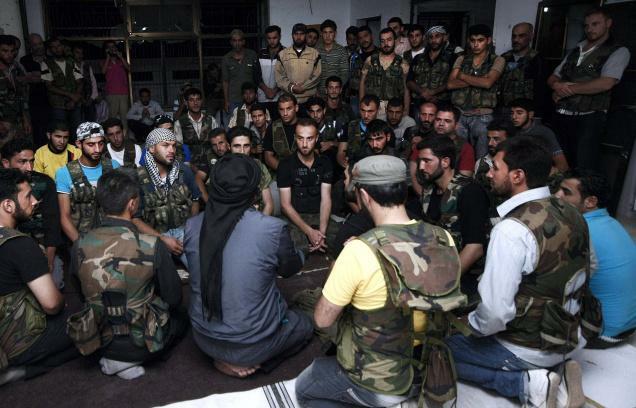 The FSA’s move into Syria was made the previous week and “aimed to unite all rebel groups”, Brig Gen Mustafa al-Sheikh of the FSA’s military council told the Associated Press news agency. 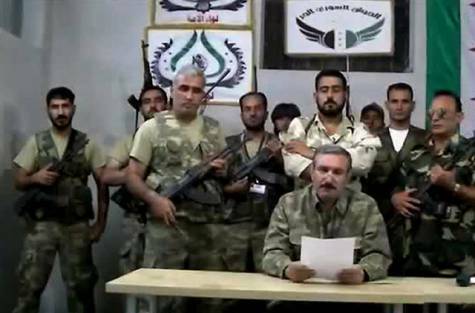 The video which appears to show Gen. Riad al-Asaad announcing the move is entitled Communique Number One From The Inside. In it, he says that the relocation had happened “after successful arrangements the FSA made earlier in collaboration with the combat battalions and brigades to secure liberated areas”. He goes on to say the FSA will fight “side by side” with “all brigades and factions” until victory. Gen. Riad al-Asaad adds the capital, Damascus, will be “liberated soon, God willing” but also rejects the idea that the FSA is seeking to replace the current regime. The move is significant as the FSA has previously been criticized for leading from Turkey and being out of touch with realities on the ground. It now seems the FSA has territory it feels is reliably under their control. The new command centre, in a secret location, will clearly be highly vulnerable to air attack by the regime – something that could increase pressure for some kind of international air cover for the “liberated areas”.